Training? Bah, you have much to learn, unlike me and my father before me, we did not learn to protect the right hand a bit more. That training program you endured was a waste of time. Forget what you learned. Just take a day and you already forgot the majority. Even worse, the training program you deliver is a waste of time. The reason: we have an incredible ability to forget. I want to challenge you to forget what you learned about training and learning. Focus on forgetting, in this case the help I offer is the Forgetting Curve. Not only do we have an incredible ability to forget, within 20 minutes we forget 40% of the subject or skill just reviewed. One day later, within 24 hours, we forget 60%. Imagine those knowledge transfer efforts you are part of. Imagine those train the trainer facades that involve you. Imagine those one-way corporate training lectures you suffer through. Useless. All useless, with 20 minutes 40% useless, within 24 hours 60% useless, within 31 days ~80% is useless, vanished. The value of training on trial is very real when we forget 20 minutes later. They key to transfer training competence is the business return on investment. I would look to working competence. The graph below shows the incredible ability to forget. This is no recent phenomena. 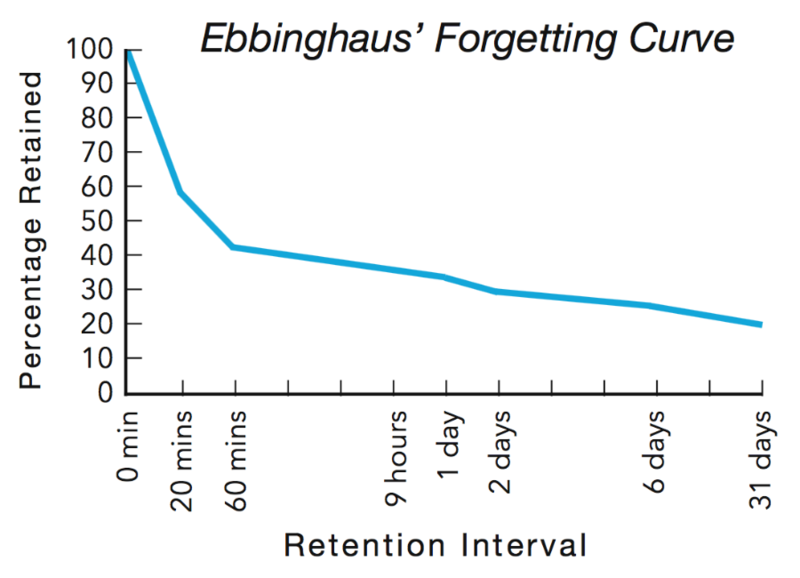 No, indeed, the Ebbinghaus Forgetting Curve came from initial studies by Hermann Ebbinghaus around the time of 1885. The thought and impact on the way people learn continue t leverage Ebbinghaus and further credence given to forgetting comes from Association for Talent Development, comes from Don’t Forget the Ebbinghaus Forgetting Curve. The training and coaching designs I create are deeply aware of Forgetting Curve for action learning throughout the engagement as well as post-training experiential engagement strategies. Within two to four weeks: participant community of practice, led initially by a moderator to collaborate on learning, understanding, and implementation. While not absolute, the Forgetting Curve guides better learning style engagement strategy to combat our interrupt-driven professional lives. Forgetting when combined with the Kirkpatrick Model make for better ways to evaluate training as well as a focus on the most important learning metrics your executives look at. To improve memory and learning, design training with meaning to the participant as well as understand the impact stress on learning. To coin a phrase from Alan Cooper: Goal-oriented Design. Design includes training goals for the participant as well as the whole system. Beat the Forgetting Curve and develop training with focus on practice, repetition, and a safe place to experiment. 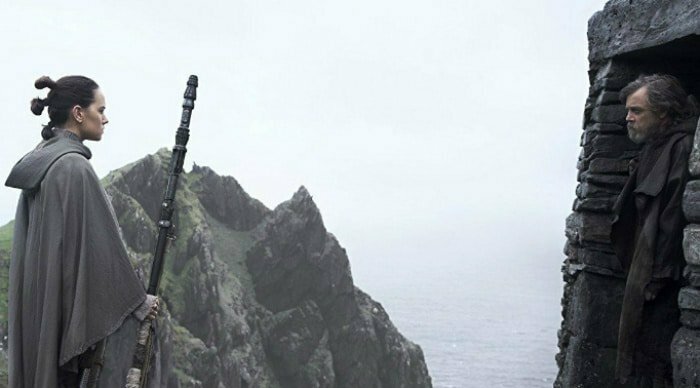 This post is a preview for a deck I have worked on to guide better training and learning. The review in an Agile guide to train teams through a Develop, Enable, Adapt, and Own transformation. I will amend this post to link to the series as well as the deck.